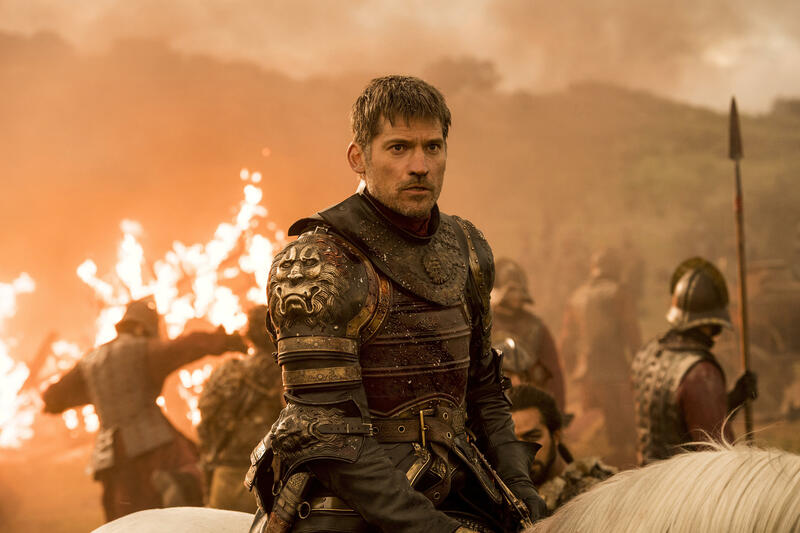 NEW YORK -- Hackers continue to pester HBO, but didn't release any material related to the network's hit show "Game of Thrones" in their latest leak. The hackers, who broke into HBO's computer network and have been doling out stolen information for the past several weeks, released more unaired episodes, including several of the highly anticipated return of "Curb Your Enthusiasm," which debuts in October. The latest dump includes Sunday night's episode of "Insecure," another popular show, and what appear to be episodes of other lower-profile shows, including "Ballers," the unaired shows "Barry" and "The Deuce," a comedy special and other programming. The network acknowledged the hack in late July, and the thieves have been dribbling out stolen video and documents since then while demanding a multimillion-dollar ransom. They have leaked "Game of Thrones" scripts, sensitive internal documents like job offer letters and a month's worth of emails from a programming executive. But the intrusion has so far fallen well short of the chaos inflicted on Sony when the studio was hacked in 2014. Still, the criminals may be holding on to more damaging data -- both intellectual property, like unaired programming, and sensitive personal information of HBO employees -- that they can use as leverage to try to get money from HBO, said Gartner analyst Avivah Litan. "It's kind of like kidnap and ransom and torture," she said. "Eventually HBO may have to give in." In an emailed statement Sunday, HBO said it's "not going to participate" in what it described as attempts to generate attention by dropping "bits and pieces of stolen information." The company added that it was not in communication with the hackers. It has said previously that it doesn't believe its email system as a whole was breached.